Rapper Chris “Ludacris” Bridges poses outside Chicken+Beer with some hungry fans. 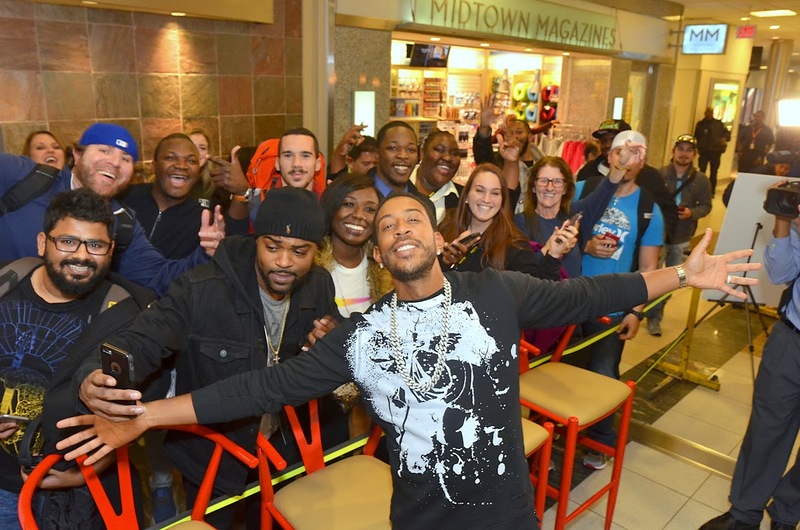 Atlanta-based rapper Chris “Ludacris” Bridges opened his new restaurant Chicken+Beer, named for his 2003 album, in Hartsfield-Jackson Atlanta International Airport’s Concourse D, Gate 5 on Monday. “The reason I named my album that, a long time ago, is because my diet pretty much consisted of chicken and beer like every damn day,” Bridges said. Acting roles—like the one in April’s Fast & Furious 8—mean that Bridges’s diet today consists of a lot more grilled than fried chicken. But he still enjoys a beer every now and again, so it was important to him that Chicken+Beer’s drink menu feature local breweries such as Second Self, Terrapin, Sweetwater, and Creature Comforts. 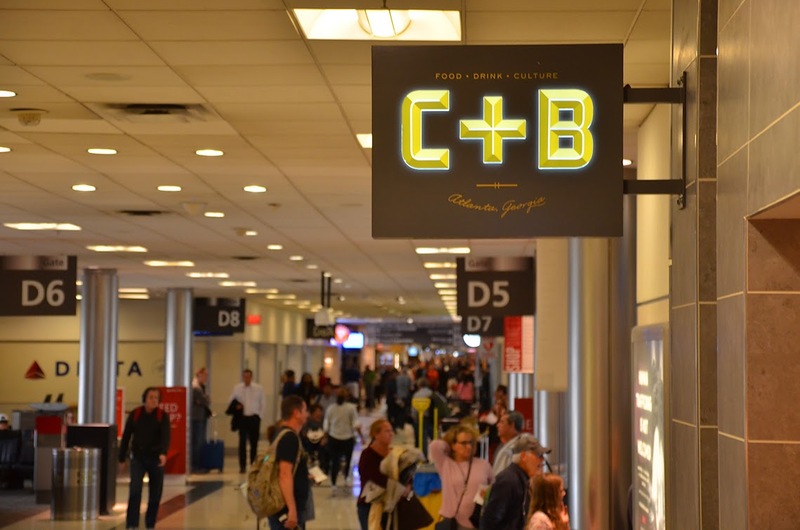 Chicken+Beer is located in Concourse D, Gate 5 of the Hartsfield-Jackson Atlanta International Airport. 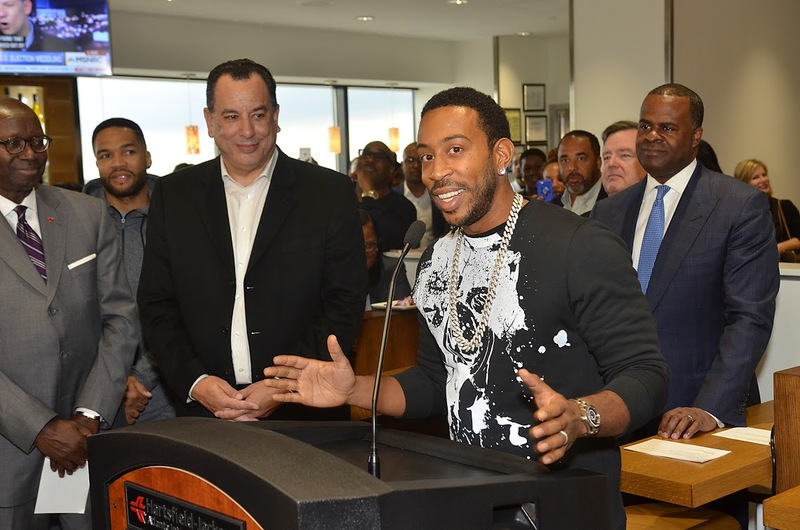 Ludacris spoke at the restaurant’s opening on December 12. He did, but the restaurant took about three years to open due to a mix of airport construction politics and his own perfectionism. “I’m a Virgo, so sometimes I’m a little too hard on myself,” Bridges said, “but we were trying to perfect everything.” He was involved in everything from the “bright, warm” decor to the heavily taste-tested menu. While he “dibbles and dabbles” in cooking at home, he left Chicken+Beer’s recipe development—the boiled peanut hummus, the stout-braised beef cheeks, the buttermilk chocolate cake—to chef Andrew Tabb. It should be noted, though, that the idea to add whiskey to the syrup for Luda’s Chicken + Pecan Waffles was, in fact, all Luda. 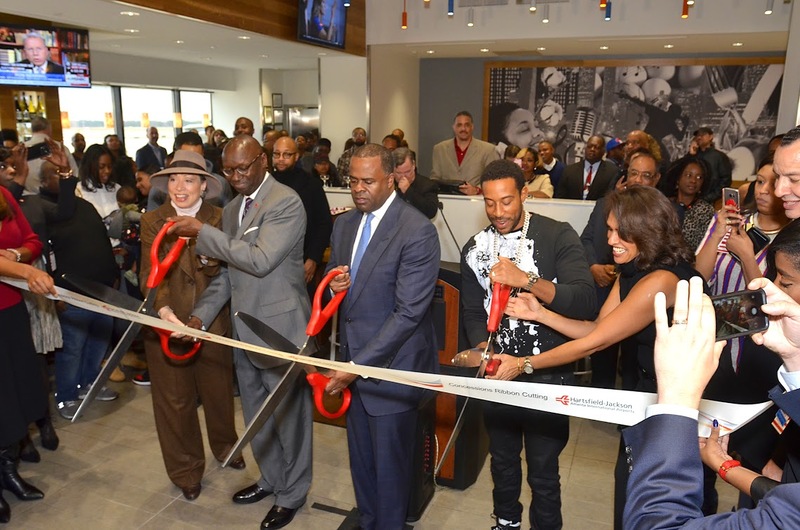 Ludacris cuts the ribbon, marking the opening of Chicken+Beer, alongside Mayor Kasim Reed.